The Callan Method is a fast and effective system for the study of English by non-native speakers. It was invented in the 1960s by a man named Robin Callan. The Method focuses on improving students’ listening and speaking skills based on speed and repetition. By a systematic process of question, answer and repetition, it teaches the grammar of spoken as well as written English, and an extensive vocabulary step by step. All lessons are taught at a fast speed which means teachers speak four times faster than normal so students have no time to think and translate into their own language. On average, students can listen to 12 600 or more words in a normal one-hour lesson. The Direct Method of English (DME) is based on the Callan Method. It aims to get students to listen and speak and this helps develop their speaking skills and listening comprehension in English. The question-answer format of the lesson ensures that students are actively involved in hearing and using the language to a maximum. In addition to that, the Direct Method of English (DME) also uses the interactive style that allows students to ask questions and engage in communication exercises. The contents of the coursebooks are designed in such a way that it increases in difficulty on subsequent modules/books. This means that the Direct Method of English (DME) is suitable for students of all nationalities, of all ages and for all purposes of study. Q. How did DME start? A. DME was created by Callan Method teachers based on the Callan Method. Since 2000, the Callan Method has been introduced to more than 500 schools around the world because the statistics collated over this time prove that a Callan method student learns English four times faster than using traditional methods. Students reach the level of the internationally-recognized Cambridge Preliminary English Test (PET) in approximately 80 hours instead of the usual 350 hours it takes when learning by other methods. The DIRECT Method for English (DME) is based on the same principles used in the Callan Method. It uses the direct method in teaching English through practical speaking and mastery of grammar and contemporary vocabulary with emphasis on speed, review, and repetition. Q. How can I take the DME Course? A. You have to register and then click the activation link that you will receive by email before taking the course. 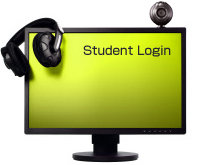 After the confirmation, you may log in to your account at the Student's My Page in order to book a class. You can select a DME teacher from the Reservation Page or from the Instructor Reference Page. Trial students can take two (2) free DME lessons. You must reserve one hour in advance and write [DME Lesson] in the Comments Box right after booking to give the teacher enough time to prepare the lesson materials for DME. All students, no matter how advanced, have to start with Book 1, page 1. However, if you have already taken DME classes before, you may request to advance to a higher stage or level. If you wish to continue taking DME lessons, you must purchase a textbook. In addition, we recommend that you attend as regularly as possible. You can take a 25-minute or 50-minute DME class but we highly recommend to attend 4 or 5 times a week for better results. If you fail to attend a lesson, please make every effort to review and read aloud by yourself. Q. How are lessons conducted? A. The teacher reads the new vocabulary one by one and the student repeats. Then, the teacher asks questions twice quickly in one breath. Asking questions twice allows the student to understand the questions more easily in spite of the fact that they are asked very quickly. Then, the student must answer in the long form using the correct sentence structure. early -ealier than -earliest, late-latter than- the latest. Do you prefer getting up early or late? I prefer getting up early. Do you go to bed early or late ? Do you get up early or late? Are you ever later for school? Yes, I'm sometimes late for school. No, I'm never late for school, but I 'm always early. Do you get up earlier than your wife? Yes, I get up earlier than my wife. No, I don't get up earlier than my wife, but I get up later. Do you go to bed later than your husband? Yes, I go to bed later than my husband. but I go to bed earlier. Who comes to the classroom the earlies? John comes to the classroom the earliest. Who comes to the classroom the latest? Cindy comes to the classroom the latest. During the question-answer work, the students are not allowed to open their books. It is very important for the students not to read the questions as the teacher is asking them. Otherwise, they will not be able to understand spoken language and concentrate properly. Students are advised to read several times in advance so that they can respond instantly to the teachers' questions. Q. Where can I purchase DME textbooks? A. DME uses print version textbooks provided by the publisher, Direct English Publications. It consists of 6 books (Book 1-6) that includes an audio CD in the backcover that students can use for review and practice. Each book contains 7-8 modules, each consisting of grammar exercises, vocabulary practice and communication exercises. All textbooks are available and can be purchased here at our company. Click here for the textbooks that are available for purchase. 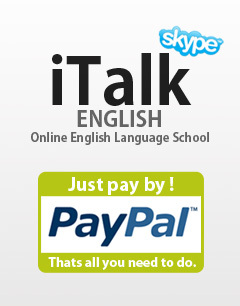 (DME books aren't sold in bookstores, etc..) ※ Textbooks are sold only to registered students of iTalk English School. For interested individuals, please complete your registration and payment. Q. How can I take the DME Book Evaluation Test? A. After completing each book, students are given book evaluation exams. These exams usually take 35-45 minutes so students are advised to book a 50-minute class just for the examination. If 50 minutes is not enough, the student can book again to resume the test. Exams will be checked by the teacher conducting the exam and will be discussed with the student on the next meeting. Q. How can I start learning DME? A. Students taking free trial lessons do not need textbooks to start learning DME. Just follow the teachers' instructions. You will be told what to do each step of the way. You can take up to two (2) free DME lessons before applying for the course. Q. How can I learn through the DME E-learning system? A. Students can use the DME E-learning system for free. The e-learning programme contains exercises corresponding to the units in DIRECT Method for English coursebooks that students can use to review lessons or practice what they've learned. The DME E-learning system can be accessed using a PIN code. Each month a new PIN code is generated. Students must request for the PIN code from the teacher at the beginning of the month. Each PIN code is valid until the end of the month.